To those that have been speculating the december crash for the biggest financial community in Nigeria, there is a new plan to shut you up for a while. 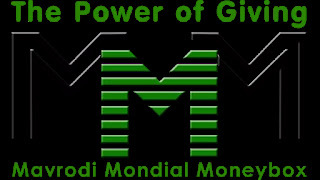 MMM in a recent update announced how they intend rewarding members who PH within the period of 7th December 2016 - 1st of January 2017. So instead of getting your normal 30% bonus in a month, you can now GH up to 50% of your money this festive season. But come to think of it, i think you can actually gain more you know, maybe consider making a testimonial video of 10% + 30% Monthly Mavro (Interest) + 20% Additional Christmas bonus. Thats like getting a whole 50% during this festive season. 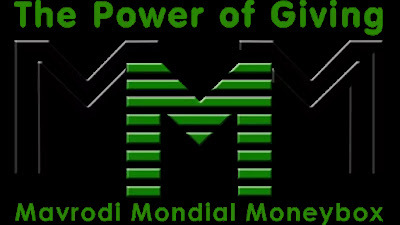 So, when you provide help, for example, in the amount of 1,000 naira, you will be granted 1,000 Mavro-NGN plus a bonus of 200 Mavro-NGN (so it will look like you provided help for 1,200 naira). The bonus is frozen for a month after the PH-request is created.The bonus will be granted only for “new” money. It means, if you created a request to get help after December 7 and later you provided help for the amount you withdrew, you will not get the bonus. You should not create a request to get help until the bonus is unfrozen (this will be after one month of providing help). Otherwise, the bonus will disappear.These conditions are necessary. Otherwise members will repeatedly withdraw the money and provide help for the same amount many times in order to get the bonus. So, if you want to receive the bonus, you should not create a GH-request from December 7 until the moment the bonus is unfrozen. That seems like a best plan.